A curved beam consists of two beams with a rectangular cross-section. 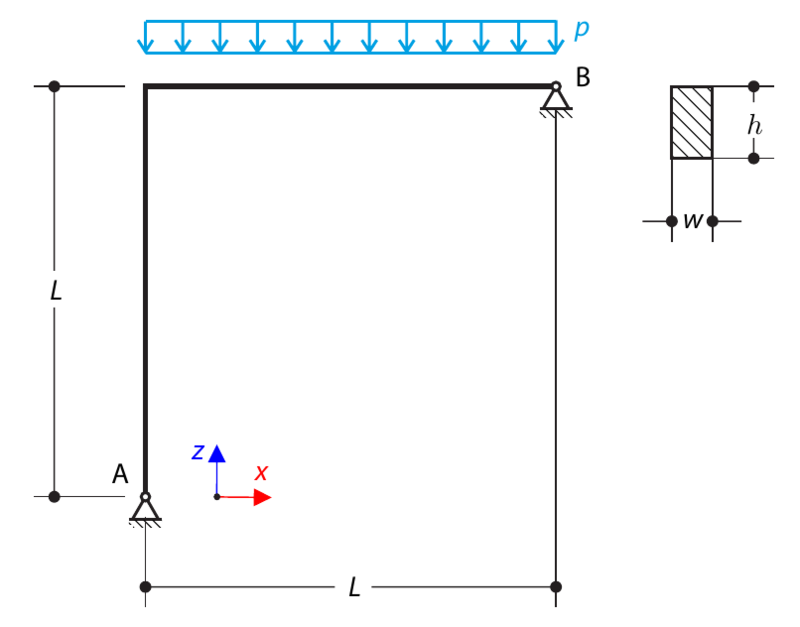 The horizontal beam is loaded by a distributed loading. While neglecting self-weight, determine the maximal stress on the top surface of the horizontal beam. 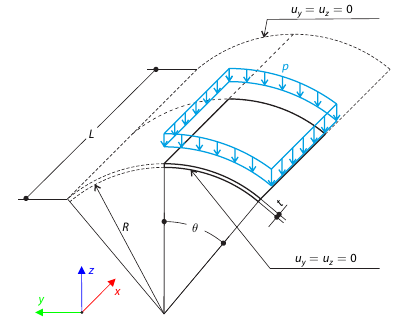 A quarter-circle beam with a rectangular cross-section is loaded by means of an out-of-plane force. This force causes a bending moment, torsional moment and a transverse force. 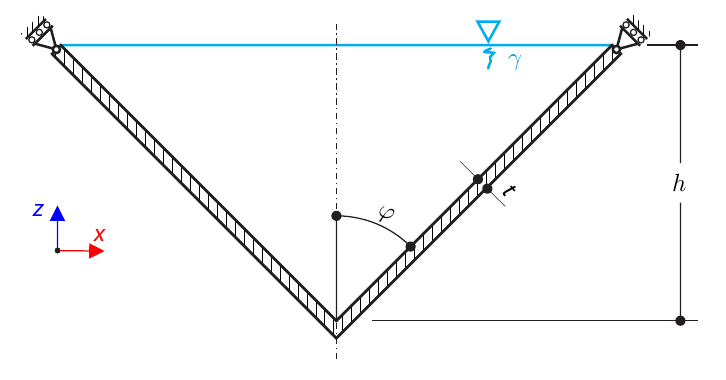 While neglecting self-weight, determine the total deflection of the curved beam. A thin-walled conical vessel is filled with water. Thus, it is loaded by the hydrostatic pressure. While neglecting self-weight, determine the stresses in surface line and circumferential direction. The analytical solution is based on the theory of thin-walled vessels. This theory was introduced in Verification Example 0084. A thin-walled spherical vessel is loaded by inner pressure. While neglecting self‑weight, determine the von Mises stressand the radial deflection of the vessel.